Trek to Mt. 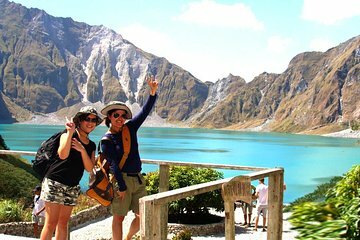 Pinatubo, one of the Philippines' major hiking destinations, on this full-day tour from Manila. With a guide in the lead, exploring unfamiliar mountainous terrain is easy and safe. Learn about the local Aeta tribesman as you adventure through the valleys to the central crater lake, whose vibrant blue-green water makes for epic photo opportunities.